BlackBerry KEYone is available to purchase exclusively via Amazon for Rs 39,990 starting today. 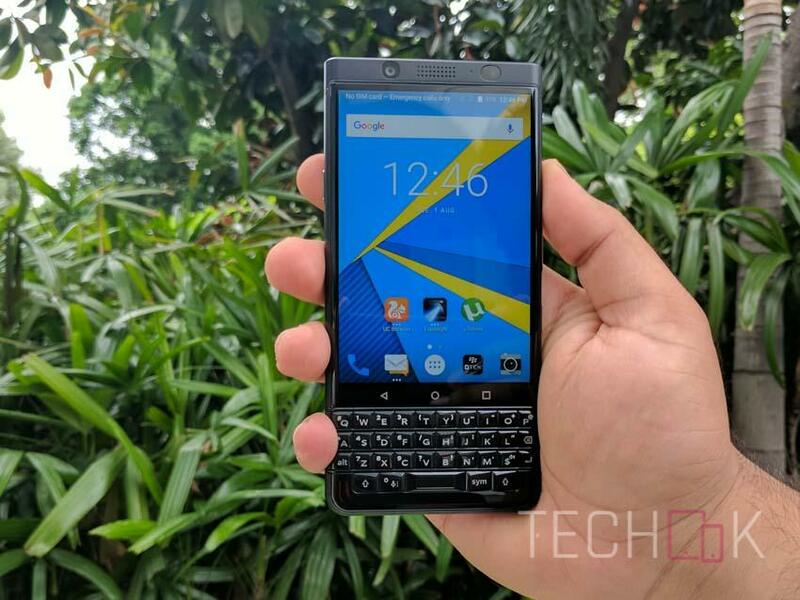 TCL-owned BlackBerry announced its much-awaited KEYone smartphone in India last week. BlackBerry KEYone is available to purchase exclusively via Amazon for Rs 39,990 starting today. Optiemus is responsible for selling and distributing the device across the country. Additionally, the company has partnered American Express wherein customers are supposed to get extra points upon purchasing the phone using American Express cards. Similarly, Vodafone is offering 75GB of data for three months. Specs-wise, BlackBerry KEYone has a 4.5-inch Full HD IPS screen featuring 1620 x 1080 pixels resolution and 433 ppi pixel density. Furthermore, the screen comes with Corning Gorilla Glass 4 protection layered on top. The phone runs Android 7.1 Nougat software in addition to many preloaded BlackBerry apps like Hub, BBM, DTEK, Device Search, and more. Inside is a Snapdragon 625 octa-core SoC, 3GB of RAM, 32GB of storage, and Adreno 506 GPU for graphics. BlackBerry KEYone houses a 12-megapixel primary camera with Phase Detection Autofocus (PDAF), dual-tone LED flash, 4x digital zoom, and 4K video recording at 30 frames per second (FPS). It also has an 8-megapixel selfie camera with f/2.2 aperture, on-screen LCD flash, and Full HD video recording at 30fps. Design-wise, it measures 9.4mm in thickness and weighs just little over 175g. It retains the iconic QWERTY keypad, though. The first dual-SIM BlackBerry phone offers the set of connectivity options like Bluetooth 4.2, FM radio, GPS, dual-band Wi-Fi, USB 3.1 Type-C port, and NFC for secure payments. The list of supported sensors includes an accelerometer, Magnetometer, Gyroscope, Proximity, Ambient Light, and Hall Effect. BlackBerry KEYone houses a 3,505mAh battery under the hood with Quick Charge 3.0 support. During our initial experience with BlackBerry KEYone, we found the device to be decent enough. However, we are currently in the process of reviewing the device. So, we will like to reserve our opinions.